Remarks as delivered by Holocaust survivor and Museum volunteer Irene Weiss at an event with survivors of contemporary religious persecution who visited the Museum on July 23, 2018 as part of the United States Department of State’s Ministerial on International Religious Freedom. US Ambassador-at-Large for International Religious Freedom Sam Brownback led the delegation of survivors to the Museum as part of a gathering of international policy makers that seeks to mobilize global action to combat religious persecution and discrimination. Thank you Ambassador Brownback, the State Department, and the Holocaust Museum for organizing this event and understanding what a critical issue religious freedom is for all of us. 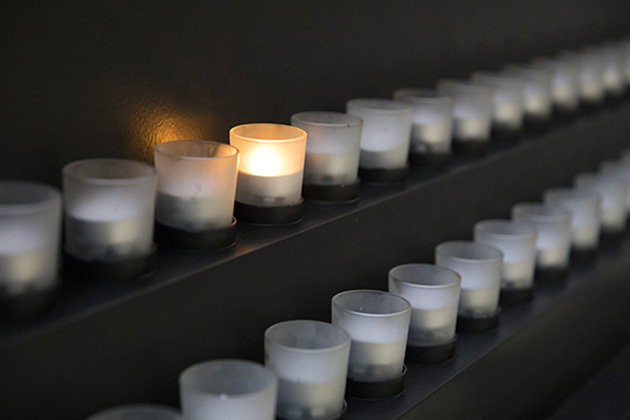 As a survivor of the Holocaust, I have experienced firsthand the results of hate and bigotry. My family and I paid the ultimate price of religious persecution. When I see media reports and learn about the thousands of families throughout the world struggling for religious freedom, and desperate to find safety because of religious persecution, it brings me back to another time when my family and millions of others were persecuted because of our religion. 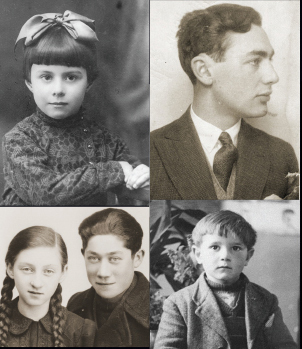 When I was 13 years old, my family and I were forced out of our home in Hungary, and deported to Auschwitz, where my parents, four of my siblings, and most of my relatives were murdered upon arrival. During my eight months in Auschwitz, my 17 year old sister and I were used as slave labor and assigned to work and live next to the crematorium. Day and night columns of young mothers with children, and elderly men and women, took their last steps as they passed by our barrack. We watched them enter the gate that led to the gas chamber. My brain could not absorb what I was seeing. I thought that this place must not be on this earth and that no one knew that it existed. If they knew, surely they would stop it. Much of the world did know about the persecution of the Jews. World leaders knew about Auschwitz and the other extermination camps. But the killing continued. It is tragic that over 70 years later, the world is faced with other regimes that commit hideous atrocities against its own citizens. For Holocaust survivors, this Museum is a place where our past is understood. It is a place where we can give voice to those who perished, and it is an opportunity to educate people about this tragic period in our history. The Museum is also a place where we learn about present day persecution and genocides, and it is your voice too for religious freedom. Humanity’s vulnerability to the same forces of hate exists today. Rebuilding faith in people and their institutions takes a long time. A lifetime may not be enough. But it helps to know that some have learned from the catastrophe of the Holocaust and that there are people everywhere who believe that race, color, and religion do not set us apart, that we all belong to the human race. In memory of those who perished, I invite the other survivors of religious persecution to join me in lighting a memorial candle. And following us, everyone is welcome to light a candle as well.